"Born in the USSR - that's a diagnosis." This is what one of the people interviewed by the author said and it would have been a great title for this book, as well. 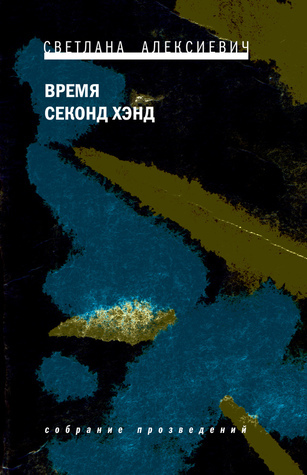 I discovered Svetlana Alexievich in 2013 when she received the Peace Prize of the German Book Trade (Friedenspreis) and then decided to read "Voices from Chernobyl: The Oral History of a Nuclear Disaster". 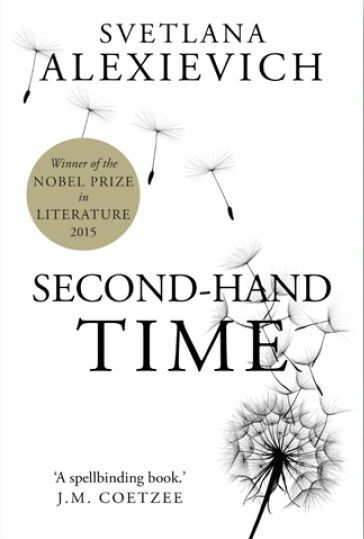 After she received the Nobel Prize for Literature in 2015, I found many more of her books and "Second Hand Time" sounded like a great read. The author wrote down her interviews with former citizens of the Soviet Union, people who liked the new system, people who disliked it, people who loved it, people who hated it. She wrote down their life stories and you can understand every single one of them. This is what makes politics so hard, trying to please everyone is not possible, there is always someone who disagrees with a certain decision. I love how understanding she is with everyone, how she manages to report their feelings, their stories as if we are there with the storytellers. I also could relate to many of the stories. Having grown up during a different time, we probably went through a lot that the former Soviets had to go through after their state broke apart. Not exactly the same but our lives were still closer to that than to our children's nowadays. Maybe that is one of the reasons why I always loved Russian literature. And then there are the stories she tells that get you closer to her interviewees. I liked how they said "For us, the kitchen is not just where we cook, it's a dining room, a guest room, an office, a soapbox." and "We like to have a chat in the kitchen, read a book. 'Reader' is our primary occupation." Or the way they joke about politics, the best jokes always are from oppressed people. "How do you tell a communist? It's someone who reads Marx. And how do you tell an anti-Communist? It's someone who understands him." But one of my favourites is: "In five years, everything can change in Russia, but in two hundred - nothing." With her work, the author has put together a vivid history of the USSR, of its failures and its positive sides. Yes, there were a lot of people who saw something positive in their oppression and partly, I even understand them. The above joke aside, communism is a good idea, if only it was invented for other species than men. Because men are greedy, they will never want to share and Karl Marx had a dream that this might be possible. He shared that dream with so many people, same as many people still believe in the American Dream and that they might be millionaires one day. Svetlana Alexievich gets us to think like a Russian, to follow their tragic lives and imagine it might have been us. I read somewhere that her subject is the "history of the Russian-Soviet soul". Not a bad description. I have never read such a good and concise description of other people's lives. She asked her fellow citizens what they thought "freedom" meant and got different answers from those who remembered the USSR and those who didn't. They did grow up in different countries. I can relate to that in that way that our country was divided into East and West probably the same way the USSR/Russians are divided into Before and After. We speak the same language but have many different memories. The author does what Tolstoy and Dostoevsky did one and a half centuries ago, she puts Russia on the literature map again. This book makes quite an impression. The tragedies these people went through and are still going through should be known to the whole world. Reading this book is the first step. "From the 2015 winner of the Nobel Prize in Literature, Svetlana Alexievich, comes the first English translation of her latest work, an oral history of the disintegration of the Soviet Union and the emergence of a new Russia. Bringing together dozens of voices in her distinctive documentary style, Secondhand Time is a monument to the collapse of the USSR, charting the decline of Soviet culture and speculating on what will rise from the ashes of Communism. As in all her books, Alexievich gives voice to women and men whose stories are lost in the official narratives of nation-states, creating a powerful alternative history from the personal and private stories of individuals. Svetlana Alexievich was born in the Ukraine in 1948 and grew up in Belarus. As a newspaper journalist, she spent her early career in Minsk compiling first-hand accounts of World War II, the Soviet-Afghan War, the fall of the Berlin Wall and the Chernobyl meltdown. Her unflinching work - 'the whole of our history…is a huge common grave and a bloodbath' - earned her persecution from the Lukashenko regime and she was forced to emigrate. She lived in Paris, Gothenburg and Berlin before returning to Minsk in 2011. She has won a number of prizes, including the National Book Critics Circle Award, the Prix Médicis, and the Oxfam Novib/PEN Award. In 2015, she was awarded the Nobel Prize for Literature." The Russians/USSR/former USSR states had quite a few winners for the Nobel Prize for Literature. Svetlana Alexievich is the latest. Svetlana Alexievich received the Nobel Prize for Literature in 2015 "for her polyphonic writings, a monument to suffering and courage in our time" and the Peace Prize of the German Book Trade (Friedenspreis) in 2013. I contribute to this page: Read the Nobels and you can find all my blogs about Nobel Prize winning authors and their books here. Read my other reviews of the Nobel Prize winners for Literature. Original Post on "Let's Read". Years ago, I read "When We Were Orphans" with my book club. I didn't like it much and thought I might not read another book by this author. But since he received the Nobel Prize for Literature in 2017, I decided I should give him another chance. "The Remains of the Day" was better, granted. However, not as great as some people told me it would be. I found the writing very lengthy and drawn-out, the sentences dwindling toward an end that has nothing to do with the beginning anymore. The story itself could he been told within five to ten pages at the most, the rest is a musing and meandering of a man who realizes that he is growing older and what could have been. I might have been able to follow those thoughts and even sympathized with the butler but I found I couldn't. The protagonist doesn't appear to be an unlikeable character but the way he is described doesn't provoke any interest, the whole story just flows along like a small brook with no windings or curves. The book reads more like the minutes of a meeting than a novel. Sorry, Mr. Ishiguro, I love reading the books by Nobel Prize winners (see below) but you don't belong to my favourites there. Lessons learned. If I don't like the first book I read by an author, I am more than likely not going to like the other one, no matter how much my friends tell me that that is his or her worst novel or whether the author is highly regarded or not. 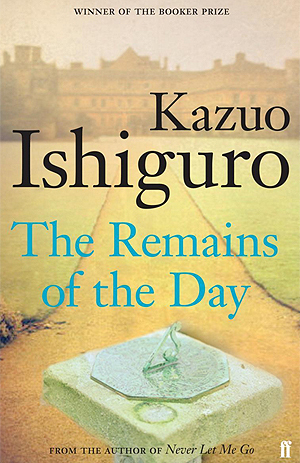 "A contemporary classic, The Remains of the Day is Kazuo Ishiguro's beautiful and haunting evocation of life between the wars in a Great English House. In the summer of 1956, Stevens, the ageing butler of Darlington Hall, embarks on a leisurely holiday that will take him deep into the countryside and into his past." Kazuo Ishiguro "who, in novels of great emotional force, has uncovered the abyss beneath our illusory sense of connection with the world" received the Nobel Prize for Literature in 2017. Original Post on "Let's Read"
An interesting book, certainly a challenging book. The author was quite young, only 23 years old, when he wrote this, his first book that led eventually to him receiving the Nobel Price for Literature. "In June 1942, a German officer approaches a young man and says: 'Excuse me, monsieur, where is the Place de l’Etoile?' The young man points to the left side of his chest. - A Jewish History". The young man is, of course, alluding to the star of David that was required to be worn by all Jews rather than the famous place in Paris. Then he carries on talking about his protagonist, Raphaël Schlemilovitch and his way of surviving or not surviving the holocaust. It took me a while to realize what he was doing. He is living the lives of many and has an almost magic realistic but certainly an immensely sarcastic style in describing this. We meet many famous Jews and non-Jews who have made history both past and present in his stories. I don't know whether this is the main book why the author was awarded the Nobel Prize for Literature and whether this is a typical novel by him but I certainly would not classify it as an "easy read". Still, if you are interested in this history, you might enjoy it. "The first novel by the winner of the Nobel Prize for Literature 2014, which with The Night Watch and Ring Roads forms a trilogy of the Occupation. In June 1942 a German officer goes up to a young man and says: 'Excuse me, monsieur, where is La Place de l'Étoile?' The young man points to the star on his chest. The narrator of this wild and whirling satire is a hero on the edge, who imagines himself in Paris under the German Occupation. Through his mind stream a thousand different possible existences, where sometimes the Jew is king, sometimes a martyr, and where tragedy disguises itself as farce. Real and fictional characters from Maurice Sachs and Drieu La Rochelle, Marcel Proust and the French Gestapo, Captain Dreyfus and the Petainist admirals, to Freud, Hitler and Eva Braun spin past our eyes. But at the centre of this whirligig is La Place de l'Étoile, the geographical and moral centre of Paris, the capital of grief. With La Place de l'Étoile Patrick Modiano burst onto the Parisian literary scene in 1968, winning two literary prizes, and preparing the way for the next two books - The Night Watch and Ring Roads - in what is regarded as his trilogy of the Occupation." 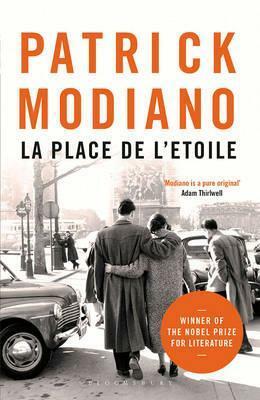 Patrick Modiano received the Nobel Prize for Literature in 2014 "for the art of memory with which he has evoked the most ungraspable human destinies and uncovered the life-world of the occupation". Exclusion happens every day and even in the family as the most intimate social group. Often it results from misunderstandings that nobody cared to clear up out of pride, shame or simply lack of concern and that were thus allowed to grow without measure. As time passes, the excluded may try to compensate the estrangement from the group or/and develop bitter feelings towards the others. 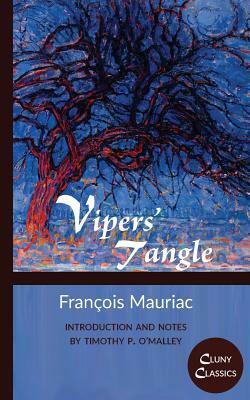 It’s how the protagonist of Vipers’ Tangle by François Mauriac, who was awarded the 1952 Nobel Prize in Literature, became a rancorous miser expecting the worst from his surrounding. Feeling death approach, he decides to put into writing all the exasperation at his family’s indifference and selfishness that he bottled up for decades. He sets out to write a pungent letter to his wife, but as he advances he gradually understands that he added his own to getting estranged from his family and everybody else. François Mauriac was born in Bordeaux, France, in October 1881. After literature studies at university, he brought out the poetry collection Les mains jointes (Clasped Hands) in 1909. His first novels Young Man in Chains (L'Enfant chargé de chaînes) and The Robe of Youth (La Robe prétexte) appeared in 1913 and 1914. During World War I he served as medical aid in the French army until he was discharged for health reasons and resumed writing novels, poetry, plays, memoirs and biographies along with journalistic work. After the novels Flesh and Blood (La Chair et le Sang: 1920) and Questions of Precedence (Préséances: 1921), A Kiss for the Leper (Le Baiser au lépreux: 1922) earned him fame. His best remembered novels are The Desert of Love (Le Désert de l'amour: 1925), Thérèse Desqueyroux (1927), Vipers’ Tangle (Le nœud de vipères: 1932; also translated as The Knot of Vipers), The Frontenacs (Le Mystère Frontenac: 1933; also translated as The Frontenac Mystery), Mask of Innocence (Les Anges noirs: 1936; also translated as The Dark Angels), and The Woman of the Pharisees (La Pharisienne: 1941). In 1952, the author received the Nobel Prize in Literature. François Mauriac died in Paris, France, in September 1970. The epistolary novel Vipers’ Tangle shows a man who in the face of death unburdens his heart putting the blame for his life-long rancour and unhappiness on his unloving and hypocritical family. The author, however, makes the protagonist undergo transformation as he expresses and explains himself over months, especially after his wife’s death. Analysing the past and seeing it from a new angle, gradually enables him to let go of the bitterness behind his greed for money, if not to find peace of mind and some kind of natural spirituality that juxtaposes the only nominal Catholicism of his proud bourgeois family. He is a remarkably realistic protagonist who is true to himself and to his own (high) values, but his utterly negative world view makes him an unreliable first-person narrator with regard to people surrounding him. Consequently, the latter appear rather one-dimensional beings by comparison and lack vigour as well as authenticity although the final two letter written by son and granddaughter after his death show that his judgement hasn’t been entirely unfounded after all. Together with the protagonist’s attitude towards his family the tone of the novel changes from rude to soft. The language is unpretentious, and yet, poetic. By and large, Vipers’ Tangle by François Mauriac has been a marvellously deep and thought-provoking read about how we all tend to misunderstand and judge others, including the people closest to us, with the result that either we or they feel excluded and turn bitter if we don’t take care. In this light it seems wrong to call it an enjoyable novel, but reading the letters of a man who realises that he could have seen things differently and who manages to shake off much of his emotional burden was engaging to be sure. As a time piece the book allows a very private look into the world of the French bourgeoisie, notably its Catholic circles, from the fin-de-siècle through the early years of the Great Depression that didn’t spare France. All things considered, it’s a novel that deserves being read more widely for which reason I gladly recommend it.